← Do You Like Mysteries? This review is for two short stories by the same author, M.T. Mathieson. They are similar in many ways. The first is The Lighthouse. This is the story of Ann Barford. She is a forty two year old divorced woman, mother of two. Ann has a secret and it has eaten at her for the past thirty two years. 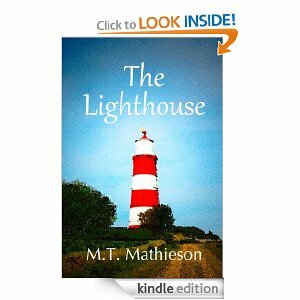 She must return to the source of her pain, the Hennerton Lighthouse. It is there where she will finally lay the ghosts of the past to rest. But will she? 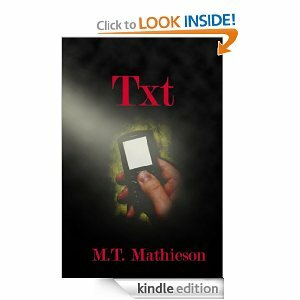 The second story is a very short one, only about 10 pages, called TXT. This is the story that takes place over a two hour period. Carol Walsh is a mother that is very worried about the world and the bad things that can happen. It drives her daughter crazy and Sophie feels she is overprotective. She texts her a lot. What happens when the text go unanswered? Thanks for being so patient with me. I realize it has been too long since my last post. I will try to do better and have another one for you soon. Happy Reading! If you have any books (yours or another that you liked) please leave a comment with the title and a link to the book so everyone can enjoy it! I would love to hear from you. Please leave any comments that you would like to share with us. This entry was tagged book recommendations comments, character development, dark secrets, mystery, short stories. Bookmark the permalink. I enjoyed The Lighthouse too, and gave it 4*. Here’s the review I left on Amazon. Thanks for writing, Jay! That was a great review! 🙂 I agree with you about wishing there was a bit more, but I especially felt that for the second story. Have you read TXT? No, I haven’t. I’ll take a look when I have this charity anthology I’m working on published. Th Review Group on Goodreads have pooled their talents to do a book for WaterAid. It’s called Of Words and Water. We’re hoping for a publication date of July 1st. I’ll send you a copy if you’d like to review it. 100% of royalties are going to WaterAid, so our readers can not only (hopefully) enjoy the stories, all of which have a water theme, but they can pat themselves on the back for doing their bit to get access to clean water and sanitation to the poorer people in the world. We have a couple of poems in the mix, too, with readings of them on the web. We have the backing and help from the good folk at WaterAid, and from the Environment Agency here in the UK. Amazingly we also have a song and a poem from the incredibly talented Peggy Seeger, a woman who has done so much for folk music on both sides of the Atlantic. It’s all very exciting! It sounds wonderful and I would love to review it, but I really can’t. I am so backlogged already and I am not able to take any new requests. It is probably going to take close to a year to get through what I have in my queue now..Sorry about that. Maybe I can review it at a later date. Once it is published, come back and leave a comment with the link and tell a bit about it and maybe some of the readers would be interested in it. I wish you a lot of luck. This is for a wonderful cause. I only wish I could do more. Sounds good. I came to your blog via : http://catherinelyonaddictedtodimes.wordpress.com/super-sweet-blogger-award-nomination/comment-page-1/#comment-115.